Arriving in a new country can be overwhelming and stressful at the best of times. Those emotions can be exacerbated when faced with having to comply with a myriad of foreign administrative and legal obligations. Being armed with knowledge before you leave, and having a good insight into what is is immediately expected of a recent migrant, both practically and administratively, can be invaluable. apply for Medicare - to receive publicly-funded health care. obtain your bank card, transport card and mobile SIM - it's important to know that even if you open your Australian bank account from South Africa, you cannot transact on the account or obtain your bank card until you have arrived in Australia. A bank card also works as a secondary form of ID. There a lot to deal with when you first arrive, between handling the above issues while still trying to deal with your more personal concerns like finding immediate accommodation and buying furniture, it can all become very overwhelming. Especially if you do not have a network in Australia. To lessen the load, Pathway provides set-up services packages to our clients which not only assist in taking care of the above issues, but a variety of others; and which are perfectly suited to your individual needs and circumstances. To discuss how we can be of help and find a set up package best suited to you or for assistance with any other general relocation concerns, contact Pathway's friendly team to arrange a consultation. 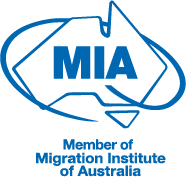 Our newly signed legal and migration clients will receive their first 30 minutes of their general relocation consultation free.